Prepare a variety of favorite dishes with this Peerless Premier electric range that delivers between 1250 and 2100 watts of power to accommodate a variety of recipes. The lift-up porcelain cooktop includes a support rod for easy cleaning. 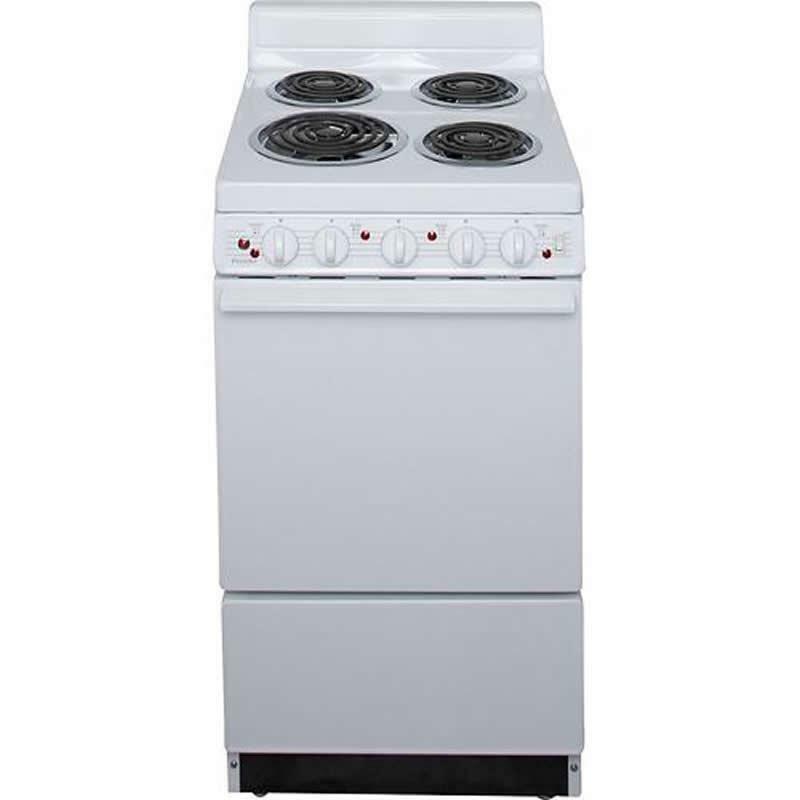 Additional Information Up-front controls with push-to-turn feature; Keep-warm thermostat; Variable broil control; Insulated oven design; Heavy-duty oven rack; Lift-up porcelain cooktop design with support rod; Reflector burner bowls. Burners/Elements Output Three: 1250w. ; One: 2100w. Burner/Element Size Three: 6"; One: 8". Warranty Lifetime: top burner elements.